Leading Exporter of cg emotron fdu ac drive, vsu ac drive, emotron vsb drives, cg emotron vfx drives, cg emotron vsb drive and msf soft starters from Mumbai. We are engaged in offering a wide range of CG Emotron FDU to our clients. It offers efficient and reliable operation of pumps, fans and compressors, reducing energy and maintenance costs. Moreover, it covers powers of up to 3,000 kW. 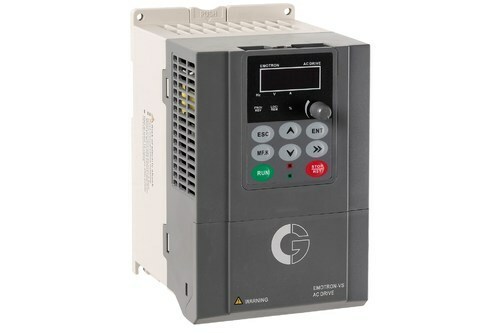 An AC drive controls the application by continuously adjusting the motor speed. These products are highly demanded in the market due to their world class quality and available at leading market price. The keypad is user-friendly with max LEDs to display status and minimum keys for ease of configuration. 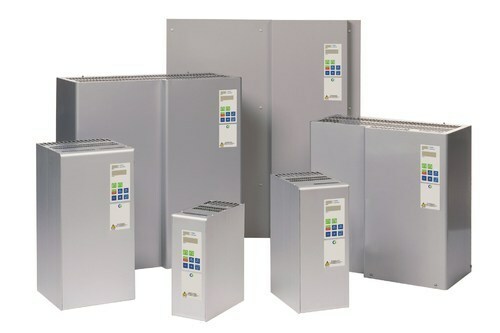 VSB AC DRIVE will meet all of your standard requirements in this fast evolving world of automation .VSB will not only save energy but is also easy to operate ,a quick fix for commissioning .VSB is cost effective ,safe & energy efficient solution for the demanding industrial environment .VSB drive offers high level of reliability & productivity for process owners & is suitable for applications like fan,pump,blower,compressor etc. 1.Standard rated for 50degree centigrade @ 8khz switching frequency & coated brands enable application in hot & humid climate. Being a customer oriented organization we are engaged in offering a quality approved range of CG Emotron VFX Drives in the market. These products are offered minimized cycle times, reduced mechanical stress and increased safety. Our clients recommended these products for their easy usage and less maintenance. Offered range of products is made under the supervision of highly skilled professionals as per the set industrial parameters. These products can be availed at best market price. 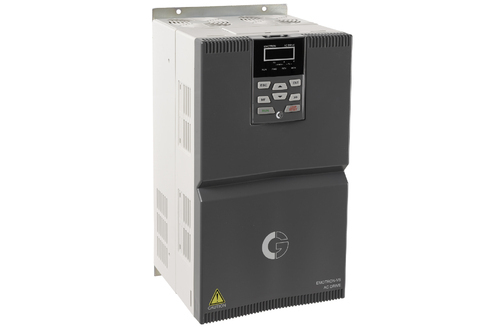 Secure the flow and save energy CG pump control offer considerable energy and maintenance savings. Operation is adapted to demand, a sleep function saves further energy, linear stops eliminate the risk of water hammer and built-in load monitor protects the pump from dry-running. Fresh air with minimal effort Controlling your fans with CG solutions ensures efficient, reliable and user-friendly operation. Damage and downtime are prevented, maintenance is reduced and energy consumption is minimized. Efficient and reliable compressing CG ensures compressor operation continuously adapted to demand, minimizing energy consumption and wear. Inefficiency due to air leakage or the compressor idling is detected immediately. CG ensures that blower operation is continuously adapted to demand, for example in order to maintain the required oxygen level in a water treatment process. Energy consumption and maintenance are minimized. Crane control with CG drive solutions offers minimized cycle times, reduced mechanical stress and increased safety. Direct torque control and unique crane functions ensure optimized operation. Controlling your mills with CG solutions ensures efficient, reliable and user-friendly operation. Damage and downtime are prevented, maintenance is reduced and energy consumption is minimized. CG AC drives offer very energy-efficient and reliable operation of, for example, decanter centrifuges. They can work without brake resistors which means energy generated by the braking motor can be re-used by the driving motor. Cost competitive VSB series is leading product in this segment; is suitable for lower ratings of three phase motors. performance as expected from Emotron series and is suitable for applications like Fan, Pump, Blower, Compressor etc. 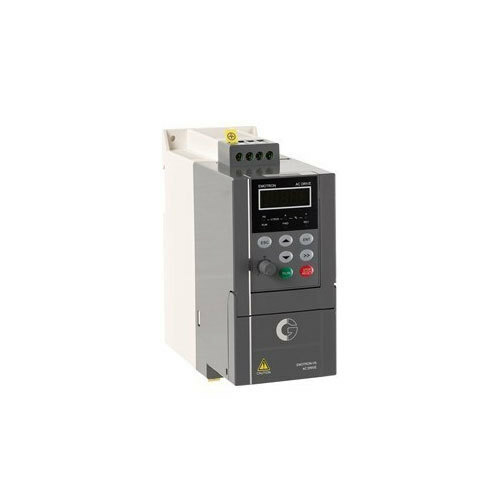 Our MSF Soft Starters are available in all the ranges and have the option of having builtin or external bypass arrangement, connecting CTs internally or externally is an option. We are supported by a team of highly skilled professionals, highly affianced in offering an elite range of Soft Starters to valued clients. These products are designed using premium quality raw material and high-tech mechanism in harmony with set quality standards. Comes with an integrated current limit. 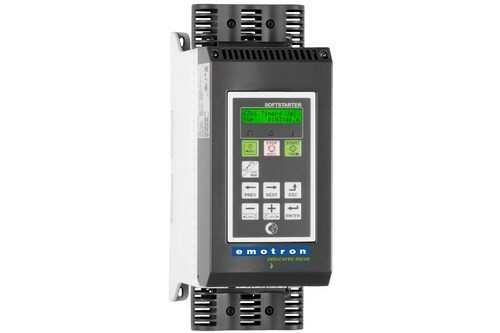 Emotron VSS is a multi-purpose AC drive which is packed with features to meet applications requirements. VSS is cost effective, easy to install, easy to use the drive for the single phase supply system in challenging industrial environment. VSS series meets users needs and runs the variety of applications like packaging, wood working, pumps, blowers, mixers and other machines. 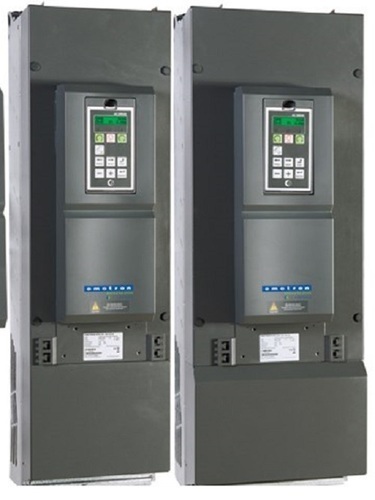 Our TSA Soft Starters are available in all the ranges and have option of having built-in or external bypass arrangement, connecting CTs internally or externally is an option. We are supported by a team of highly skilled professionals, highly affianced in offering an elite range of Soft Starters to valued clients. These products are designed using premium quality raw material and high-tech mechanism in harmony with set quality standards. 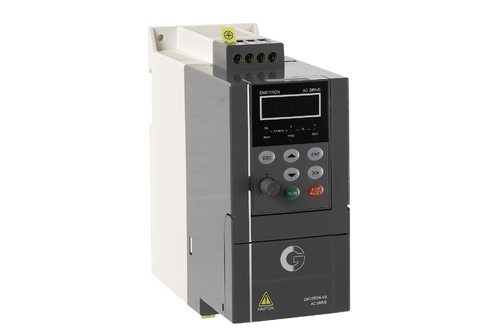 Looking for “CG Emotron- Drives & Soft starters”?